High Performance | Implant supported dentures are designed to function exactly like natural teeth. They allow you to eat and speak without difficulty. Implant supported dentures will never shift or fall out of your mouth, and will allow you to enjoy an easy and worry-free life. Jaw Protection | Tooth roots are responsible for stimulating the jawbone to protect and preserve it. When you lose a tooth and its root, the jawbone is not stimulated properly. Implant supported dentures will take on the roles of both your tooth roots and teeth so that you can avoid jawbone loss and premature aging. Low-Maintenance | You can floss, brush, and rinse your teeth just like you always have when you have implant supported dentures. 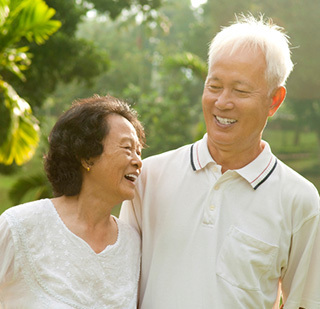 Appealing | Our implant supported dentures are natural-looking and attractive. You’ll be excited to smile and laugh with others again. Some patients need or prefer traditional dentures, so we provide those too. If the jawbone is not full enough for the placement of dental implants, or if you are uninterested in implant supported dentures for another reason, we can create custom-fit dentures for you. 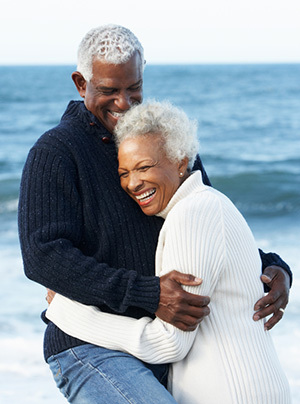 Our traditional dentures will restore your complete smile so that you can confidently socialize again. Are you ready to love eating, speaking, and smiling again? Give us a call today to schedule your appointment with Dr. Gearin. We will supply you with the reliable tooth replacement option that is best for you.